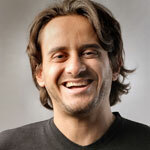 Manage and track employees’ expenses. 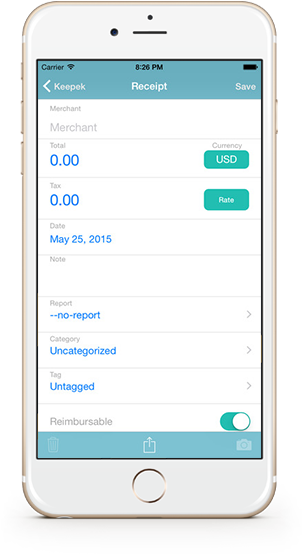 It's easy to verify line item expenses against submitted receipts and to conduct audits. 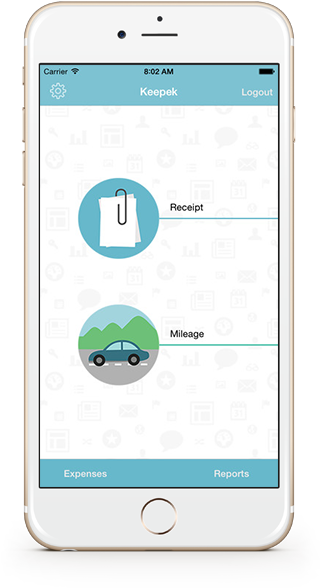 Use the mobile application to take pictures of your receipts and to log your mileage on the go. 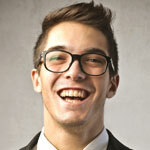 Create PDF and Excel expense reports in a few clicks. Pictures of the receipts are attached to reports. Never lose a receipt! Snap pictures of receipts on the go. Tracking mileage is easy and intuitive. 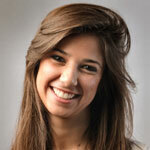 Eliminates all the cumbersome work associated with expense reporting. 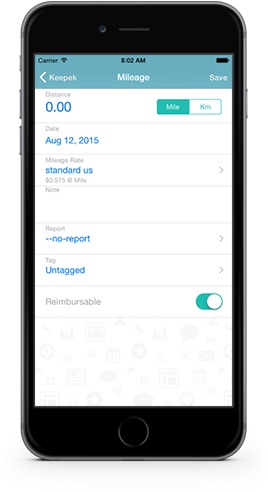 Create and submit expense reports from your phone. Managing expenses takes a lot of time, unless you use Keepek! 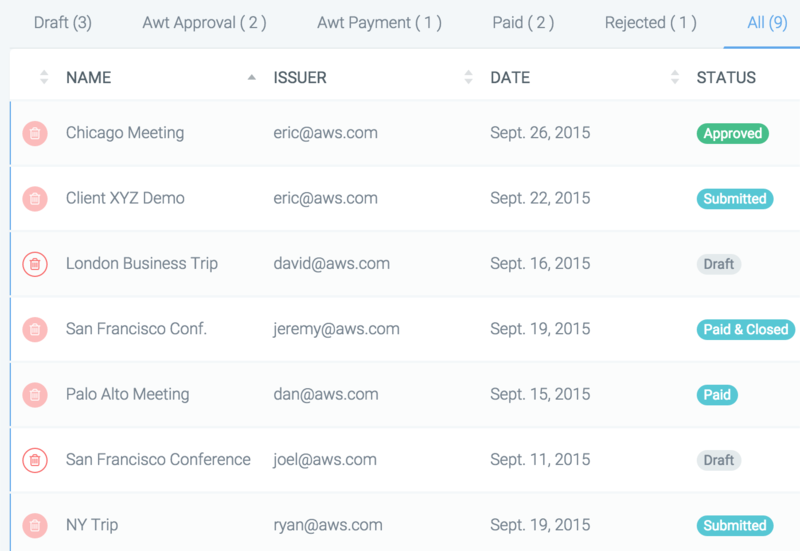 Manage all reports from one place. Create your own categories, mileage rates, tax rates, and tags. 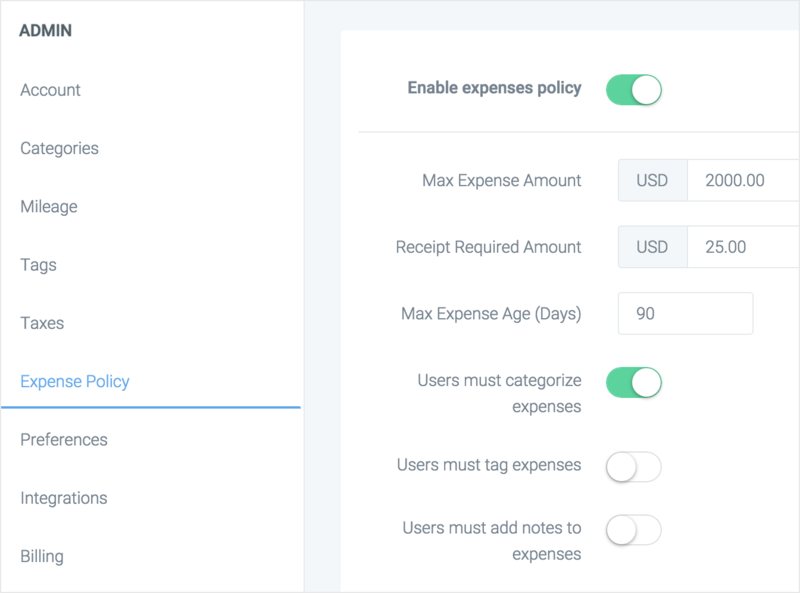 Set and enforce expense policy based on expense type, including required comments. Copyright ©2017 by Keepek Ltd.